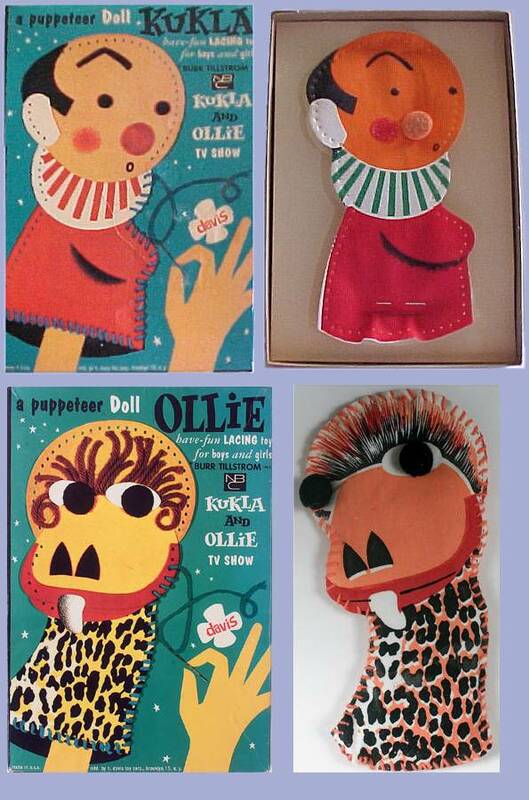 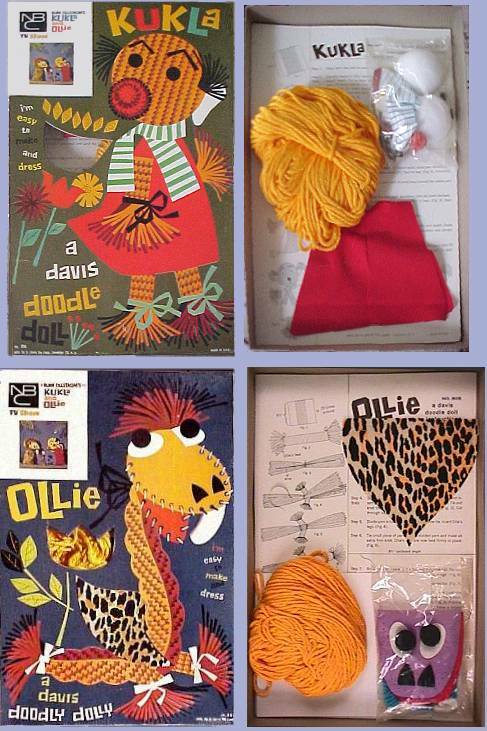 The H. Davis Toy Corp. of Brooklyn, New York released a number of Kukla and Ollie toys in 1963. 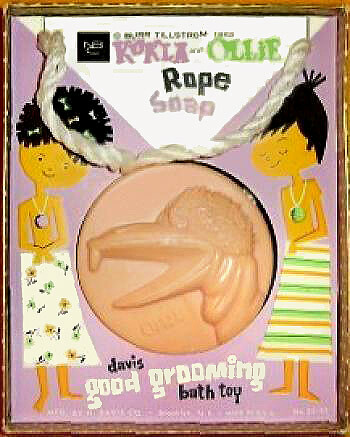 Seen here are doll-making kits and an Ollie soap-on-a-rope (if anyone has Kukla, please let me know). 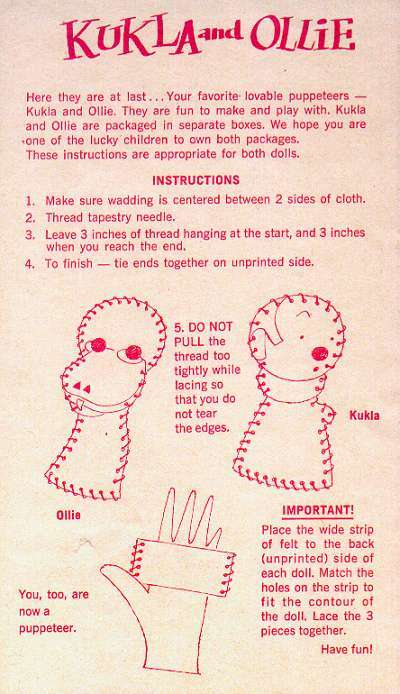 There were two types of dolls: "Puppeteer Dolls," which were lace-up hand puppets, and "Doodle Dolls," made of yarn and a few pieces of felt. 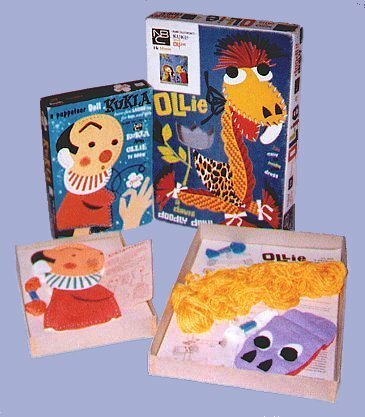 Neat boxes, but the actual dolls must have been a disappointment to any kid who was hoping to have a Kukla or Ollie puppet to play with.